The Hollywood blockbuster, Inside Out, is a cute, entertaining collaboration of talented animators and storytellers at Disney and Pixar. I love when something is new and innovative – and this movie is just that. Although the movie is aimed at kids, the audience is packed with people of all ages. A friend took her sons to a matinee and was surprised that she was the only person with children in the theater. So what’s the appeal? The story focuses on the inner experience of Riley, an 11 year old girl who moves with her parents from Minnesota to San Francisco. In Minnesota, she had great friends, loved the outdoors, enjoyed lots of time with her parents, and was an avid hockey player. They move for her father’s new, very stressful job, which takes him away from the family. Feeling the stress, Riley’s mom suggests they need to act happy so they don’t put more pressure on Dad. The movie cleverly personifies Riley’s emotions as they run her life from “Headquarters.” Joy, Riley’s dominant emotion, is the quarterback of the operation and tries to keep the other emotions from ruining Riley’s day. Joy believes that if Riley can stay happy, everything will go well for her. Unfortunately, the inevitable sadness and difficulties of leaving a life she loved and trying to fit into a new culture catch up with Riley and she becomes sad. Joy does her best to keep things positive, but Riley’s entire emotional world begins to fall apart. With all hope gone, Joy finally realizes that each time Riley has faced a difficult situation, it was her sadness that rallied people to her side to love and support her. By feeling and then expressing her sadness, she found the encouragement and strength to go on. We live in a culture of oppressive positivity. When people ask how we are, we’re expected to reply, “Great!” or at least, “Fine.” As Patrick Lencioni discusses in his brilliant parable, The Five Dysfunctions of a Team, we are so uncomfortable expressing displeasure that we tolerate poor behavior, unfair practices and ineffective procedures, rather than make someone, or ourselves, uncomfortable. Just as Riley needed to feel and express her sadness in order to move through it, we never change anything we don’t like unless we are willing to feel our discomfort and share it. Mindfulness practices show us that our thoughts are transient. Thoughts come and go, sometimes within seconds. Similarly, emotions are transient – they are feelings based on the thoughts that we hold. 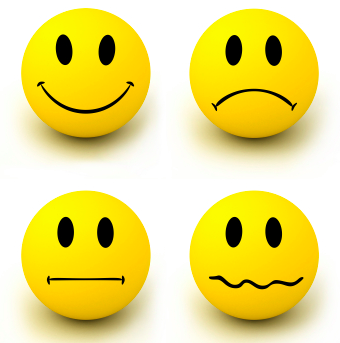 While some emotions are more comfortable than others, they each provide a window into our beliefs, desires and needs. We are wise to allow ourselves to feel the emotion and uncover what it reflects. Only then will we be able to develop a life that feels whole, meaningful and satisfying. This entry was posted in Doctor Coach, mindfulness, physician coach, physician coaching and tagged medical career, perfectionism. Bookmark the permalink.